17. 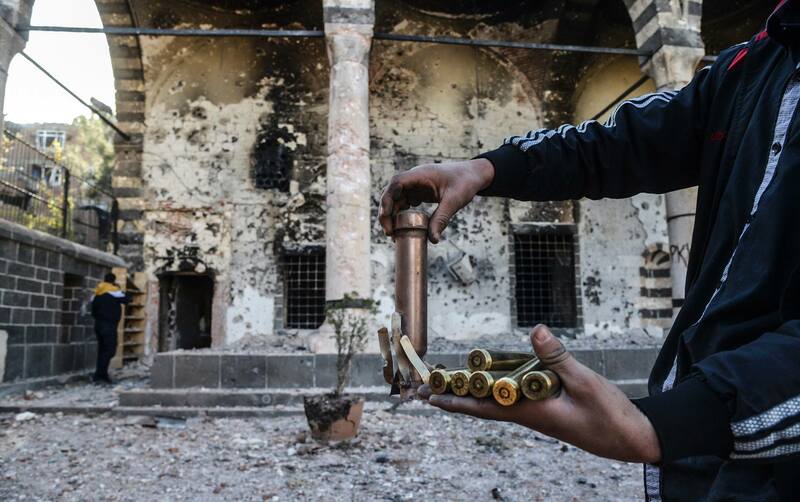 Is there a different legal system for the Kurds? All four deputies of the Peoples’ Democratic Party (HDP), Sebahat Tuncel, Ertuğrul Kürkçü, Sırrı Süreyya Önder and Levent Tüzel, started a hunger strike in Parliament on Tuesday in protest of court rulings that recently rejected a demand to release five Peace and Democracy (BDP) deputies in the southeastern province of Diyarbakır. HDP Co-chairperson Kürkçü said in a press conference on Tuesday that those five deputies were elected, just like he and his colleagues, describing the court decisions as political and a blow to law. Kürkçü said the courts had contradicted the rulings of the Constitutional Court (AYM). Kürkçü added that any deputy could join their hunger strike, which will last until the parliamentary budget talks are over. Turkish courts on Monday rejected bids by five Kurdish lawmakers to be released from lengthy detention while on trial, a move that could undermine confidence in a fragile peace process with Kurdish militants. The decision by the courts in Diyarbakir, the regional centre of Turkey’s mainly Kurdish southeast, came despite the country’s top court ruling this month that the long-term detention of another deputy pending trial was unconstitutional. Gulser Yildirim and Ibrahim Ayhan, members of parliament for the Kurdish Peace and Democracy Party (BDP), were detained in 2010, charged with links to the militant Kurdistan Workers Party (PKK) and are still held pending the completion of the trials. Three other BDP deputies held while being tried on similar charges also had their bids to be released quashed by a second court in Diyarbakir. Four imprisoned Kurdish MPs expressed outrage and accused Turkey of practicing a separate law for non-Kurds, after two Diyarbakir courts refused to release them but freed another jailed lawmaker from the mainstream opposition. Last week the courts in Diyarbakir rejected an appeal from lawyers and the pro-Kurdish Peace and Democracy Party (BDP) on behalf of Kurdish MPs Ibrahim Ayhan, Selma Irmak, Faysal Sariyildiz, Gulser Yildirim, and independent deputy Kemal Aktas, who have lingered in jail since a 2009 Turkish crackdown on Kurdish groups. But the courts ordered Mustafa Balbay, from the main opposition Republic People’s Party (CHP), to go free after more than four years in jail. The CHP has joined the BDP in criticizing the court rulings, which were condemned in a joint letter by the jailed Kurdish MPs themselves. At the seventh hearing of the so-called “KCK (Kurdistan Communities Union) Leadership Committee” case in Istanbul, in which lawyers of the Kurdish people’s leader Abdullah Öcalan are on trial, the court has ordered the release of four of the accused. The case at the 16th High Criminal Court in Istanbul concerns 50 accused, 16 of them in custody, most of them lawyers for Abdullah Öcalan. The judges announced their interim decision regarding the applications for release, deciding to release lawyers Mehmet Sani Kızılkaya, Asiye Ülker, Muhdi Öztüzün and Bedri Kuran. The court stated it had ordered the release of these detainees after taking into consideration the length of time they had spent in custody. 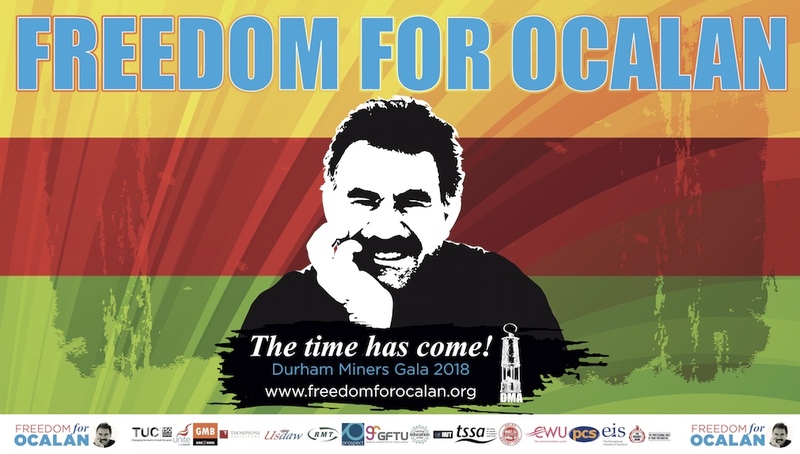 The judges rejected once again defence counsel requests for Abdullah Öcalan to appear as a witness, and adjourned the trial until 8 April 2014. Turkish Prime Minister Recep Tayyip Erdoğan has said a “dirty operation” against the government is being carried out, commenting on a bribery and fraud operation that has targeted the sons of three Cabinet members along with around 80 businesspeople and civil servants. “There is a very dirty operation here,” Erdoğan said in Ankara during a press meeting on the evening of Dec. 18. He said there were “some circles inside and outside of Turkey” that are seeking to hinder Turkey from its rapid growth, adding that his government would not permit “political plots.” Istanbul and Ankara police staged morning raids Dec. 17 as part of a probe into tender fraud and bribery operation allegations, detaining over 80 people. Government requests to remove content from Google continued to rise in the first half of this year, the company’s transparency report shows. Turkey tops the list with an approximately tenfold increase in requests over the second half of the year. In an update to its “Transparency Report,” Google said it saw a 68 percent jump in requests in the second half of the year, compared to the prior six-month period, led by marked increases from Turkey and Russia. Turkey’s requests saw a record 966 percent increase compared to the previous reporting period, according to the report. According to a statement by the rebels of the Kurdistan Workers’ Party (PKK), Kurdish President Massoud Barzani’s Kurdistan Democratic Party (KDP) and the PKK have reached an agreement to unite Syria’s Kurds for the upcoming Geneva II conference on Jan. 22 and will revive an earlier agreement by the Kurdish parties of Syria, after months of conflict. On Dec. 17, the Syrian Kurdish parties will have a bilateral meeting. The agreement comes after the Kurdish parties realized disunity would harm their achievements in Syria and therefore started to negotiate. Talks aimed at building an alliance between various Kurdish groups in Syria, so that Kurds can take part in the Geneva II as a unified group, are being held in the Iraqi town of Erbil, the capital of the autonomous Kurdish administration in the country. The meetings, which are being held behind closed doors, are primarily aimed at establishing an alliance between the Democratic Union Party (PYD) and other Kurdish factions in Syria. 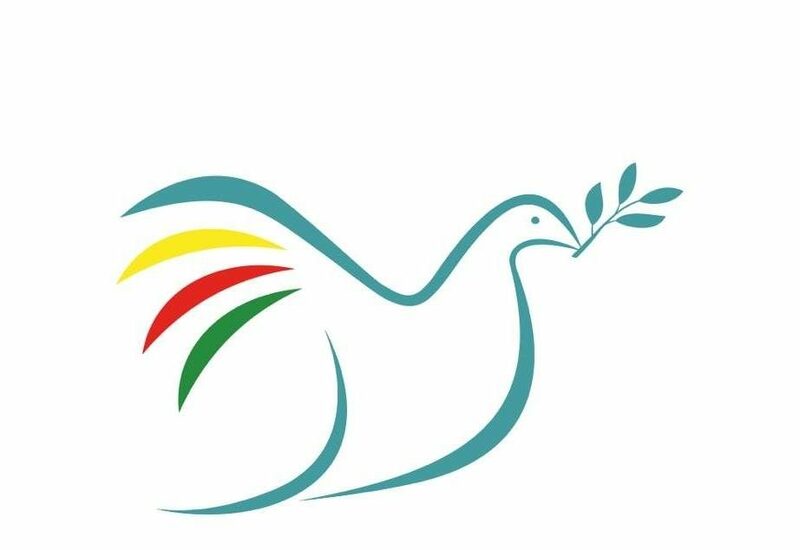 This is to enable all the Kurds of Syria to participate in the upcoming peace conference in Geneva. Speaking to the Anadolu Agency, Mustafa Juma, the General Secretary of the Kurdish Azadi Party, emphasized the disagreements between PYD and other Kurdish parties. “Now there is a possibility of forming an alliance with PYD. If this alliance can be established, Kurds will participate in Geneva-II as a unified group. If not, we will join the conference under the umbrella of Syrian National Coalition”. Khaled Issa representative of PYD in France, which participated in the meeting with Mikhail Bogdanov, Deputy Russian Foreign Minister yesterday said Saleh Muslim joint head the PYD will deliver a speech in the Russian Duma after tomorrow, and he said they would meet on 21 of this month with Chinese delegation at their request and another Russian in the Swiss city of Geneva. Khaled Issa representative of PYD in France said, in an exclusive interview told ANHA that they will continue to meet with Russian officials and the Russian Parliament “Duma” will be received is Saleh a Muslim joint head of the party on Wednesday and will deliver the Muslim speech there about the latest situation and outlook to resolve the Syrian crisis. PYD (Democratic Union Party) co-chair Salih Muslim spoke at a meeting in Moscow, where he gave information about the Kurds’ strategy in Syria. Muslim emphasised that at this juncture they were neither on the side of the Syrian regime that is persecuting its people, nor on the side of the opposition that is becoming increasingly reactionary. Muslim added that they took the democratic struggle as their starting point and were defending themselves against attacks. Salih Müslim of the PYD, who is carrying on meetings in the Russian capital, Moscow, spoke at the Kurdish Cultural Centre. The meeting was attended by representatives of Kurdish organisations in Moscow, Kurdish exile and diaspora Kurds. Torture, flogging, and summary killings are rife in secret prisons run by the Islamic State in Iraq and al-Sham (ISIS), an armed group that controls large areas of northern Syria, said Amnesty International in a briefing published today. ISIS, which claims to apply strict Shari’a (Islamic law) in areas it controls, has ruthlessly flouted the rights of local people. In the 18-page briefing, Rule of fear: ISIS abuses in detention in northern Syria, Amnesty International identifies seven detention facilities that ISIS uses in al-Raqqa governorate and Aleppo. “Those abducted and detained by ISIS include children as young as eight who are held together with adults in the same cruel and inhuman conditions,” said Philip Luther, Amnesty International’s Director for the Middle East and North Africa. On Wednesday 13 November 2013 the Human Rights Centre, School of Law at Queen’s University Belfast hosted a one-day conference entitled ‘Challenging the Oppression of Lawyers in Times of Conflict’. The conference report and all audio-visual recordings of the presentations are now available to download. In recent months, owing in part to the fallout from the Syrian civil war, belated signs of intellectual movement regarding the future of Kurdish politics have emerged from some Western analysts. We need a deeper understanding of history and context to evaluate this movement, however, because the role of U.S. policy will be crucial in whatever the future brings. For the greater part of the 20th century American foreign policy and national security officials kept a studied distance from the Kurdish issue as such. The main reason is that U.S. administrations have evinced a strong Westphalian bias, always prioritizing the integrity of the territorial states that had emerged from the collapse of the Ottoman Empire at the end of World War I. In this the United States followed in the Mideastern footsteps of Great Britain, which had prioritized the integrity of the Iraqi state it had created over earlier British promises concerning the establishment of a Kurdish state. Two years ago today 44 journalists were arrested. Many are still in prison as on the dock is freedom of press. At 5am on 20 December 2011, the Anti-Terror Unit of the Istanbul Police Force arrested 44 Kurdish and independent journalists as part of a coordinated city-wide operation. Police raided the offices and houses of journalists from DIHA News Agency, Firat News Agency, daily Özgür Gündem, Azadiya Welat, Etkin News Agency. They seized computers, files, hard disk, papers, books in what was certainly one of the widest operation against media in Turkey. Speaking at a press conference later that day, security forces described the 44 journalists as the KCK (Kurdish Communities Union) ‘propaganda’ or ‘press’ wing. Thirty-six of these journalists were placed under pre-trial detention after questioning on 24 December 2011, while eight were released pending trial. Two other journalists were arrested and released pending trial in subsequent weeks as part of the same investigation, bringing the total number being tried up to 46. Mustafa Balbay, an elected deputy for the main opposition Republican People’s Party (CHP), was released from prison pending his appeal after the Constitutional Court decided that his continued detention violates the Constitution and his rights under the European Convention on Human Rights (ECHR). After Balbay’s release, three deputies from the pro-Kurdish Peace and Democracy Party (BDP) applied to the Diyarbakır Criminal Court petitioning for their release, arguing that Constitutional Court’s decision and general principles mentioned in it also apply to them. But their demand was simply denied by the court. I did not see the reasoned decision of the court, but most probably it says the same thing as the prosecutor who demanded the court not release the arrested deputies. He said the decision by the Constitutional Court regarding Balbay is only binding for Balbay and has no effect on others who have not applied to the Constitutional Court themselves. Questions for a small-town Turkish mayor fighting against the construction of a wall she says is a human rights travesty. In early October, like many residents in the Turkish town of Nusaybin near the Syrian border, Mayor Ayşe Gökhan woke up to find a wall suddenly under construction. Gökhan had no idea what was going on. She tried to contact Turkish authorities, but her queries were ignored. The local—mainly ethnically Kurdish—population vigorously protested, but couldn’t halt construction. In the end, Gökhan, who’s aligned with the pro-Kurdish Peace and Democracy Party (BDP), went on a hunger strike in a minefield adjacent to the wall. The wall, built on a 4.3-mile stretch between Nusaybin and Qamishli, has now made it almost impossible for families with members in both of these border towns to see one each other. In building his political career, Turkey’s powerful and charismatic prime minister, Recep Tayyip Erdogan, relied heavily on the support of a Sufi mystic preacher whose base of operations is now in Pennsylvania. The two combined forces in a battle with the country’s secular military elite, sending them back to the barracks in recent years and establishing Turkey as a successful example of a moderate, democratic Islamic government. Now a corruption scandal not only threatens Mr. Erdogan’s rule but has exposed a deepening rift between the prime minister and the followers of his erstwhile ally that is tearing the government apart. On Thursday, after several days of sensational disclosures of corruption in Mr. Erdogan’s inner circle, Istanbul’s police chief was dismissed as the government carried out what officials indicated was a purge of police officers and officials conducting the corruption investigation — nearly three dozen so far, according to the semiofficial Anadolu news agency. Through all the disappointments that have followed the Arab spring, liberals inside and outside the Middle East have been able to say that Turkey was standing proof that Islam and democracy were compatible. But what has been happening recently suggests a critical examination of this belief is in order. The harsher side of Turkey’s system was revealed to the world earlier this year when the prime minister, Recep Tayyip Erdogan, spectacularly mishandled a rally against a mall development in Gezi Park in Istanbul. He turned a demonstration that was initially about conservation and town planning into a nationwide protest against his style of rule, involving millions of people. Throughout the crisis, Mr Erdogan’s comments showed that he neither understood nor respected the views of his opponents. It was left to more moderate and politically sensitive members of his AK (Justice and Development) party to restore a measure of calm; but what could not so easily be restored was Mr Erdogan’s credit with a significant portion of the younger generation. Recent actions by Turkey’s Prime Minister Recep Tayyip Erdogan cast doubt on his democracy credentials and raise doubt about the reliability of Turkey as an ally of the West. The international community can help get Turkey back on track by demonstrating commitment to its Euro-Atlantic integration and using the framework of European Union (EU) accession to encourage a more constructive approach on human rights, Kurdish issues, and regional relations. Since the Justice and Development Party (AKP) came to power in 2002, Erdogan has stabilized Turkey’s economy and initiated a decade of prosperity. Turkey has become a leading member of the G-20, and an important emerging market. Erdogan deserves credit for his economic policies. He also deserves praise for taking on Turkey’s military establishment, subordinating the “deep state” to civilian authority. Only about a month has passed since I was rebuked by a very high-level State Department official when I asked why the United States withheld a visa from the Syrian Kurdish leader Salih Muslim, who was to participate at a panel in Washington titled “The Kurdish Role in the New Middle East.” The American official cited two preconditions for the Syrian Kurdish leader who wanted to come to Washington not only to participate at the panel but also to meet with the US officials. These preconditions — which I had written about earlier in Al-Monitor — were: Severing all ties with the Bashar al-Assad regime; Integrating with the Syrian opposition. On November 12, the Democratic Union Party (PYD), a Syrian Kurdish group affiliated with the Turkish Kurdistan Workers Party (PKK), announced the creation of an interim government in areas under its control in northeastern Syria. The plan has the potential to increase rifts within the opposition and exacerbate regional tensions. To minimize them, Washington should help forge a pan-Kurdish coalition that can devote all of its attention to fighting al-Qaeda elements seeking to exploit Syria’s civil war. Background: Concentrated in three noncontiguous areas in the northeast, Syrian Kurds constitute some 10 percent of the country’s population and have long faced persecution. Various governments instituted repressive, Arab-centric policies against them, including a special census in 1962 that stripped approximately 20 percent, or 120,000, of them of their citizenship; today, that number has swelled to around 300,000. But these actions were only a prelude to the harshest measures, introduced after the Baath Party came to power. As the proposed Geneva II conference which is expected be held on Jan. 22 — not in Geneva, but in Montreux for lack of hotel space — draws nearer, Syria’s Kurds are scrambling to secure a seat at the negotiating table. Saleh Muslim, the co-chairman of the most influential Syrian Kurdish party, the Democratic Unity Party (PYD) told Al-Monitor in an exclusive interview in Brussels on Dec. 7, that Geneva II represents an historic opportunity for his people to press for their long suppressed rights. “We will not allow Geneva II to become another Lausanne,” he added, thumping a chubby fist. Muslim was referring to the 1923 Treaty of Lausanne signed between the Allies and Turkey which defined the new borders of the modern Turkish state. Lausanne famously scrapped earlier plans for an independent Kurdish state that were laid down in the 1920 Treaty of Sevres signed between the Allies and their vanquished Ottoman foe. By Jonathan Spyer: As the Syrian civil war moves toward its fourth anniversary, there are no signs of imminent victory or defeat for either of the sides. The military situation has reached a stalemate. The result is that Syria today is divided de facto into three identifiable entities, each of which is capable of defending its existence against threats from either of the others. These three entities are: first, the Asad regime itself, which has survived all attempts to divide it from within. The second area is the zone controlled by the rebels. In this area there is no central authority. Rather, the territory is divided up into areas controlled by a variety of militias. The third area consists of majority-Kurdish northeast Syria. This area is under the control of the PYD (Democratic Union Party), the Syrian franchise of the PKK. 26. Chatham House Paper – Western Policy towards Syria: Ten Recommendations, Middle East and North Africa Programme, December 2013. 27. KCK Statement on the killing of Bemal Tokcu, 14 December 2013. 28. Mass trial of Abdullah Ocalan’s lawyers to be observed by UK barristers, Peace in Kurdistan Press Release, 17 December 2013.